Since all we really know about T-Mobile TV is that it’s a rebranded MobiTV with a super new icon we’ve been hoping to score some particulars on what to expect. We asked for details and now we deliver with some information on what exactly you can expect to find when T-Mobile TV hits next month on the myTouch4G, HTC HD7 and future devices. With a thirty-day free trial to reel you in, T-Mobile TV will run $9.99 thereafter with content from ABC, Disney, Fox Sports and more! 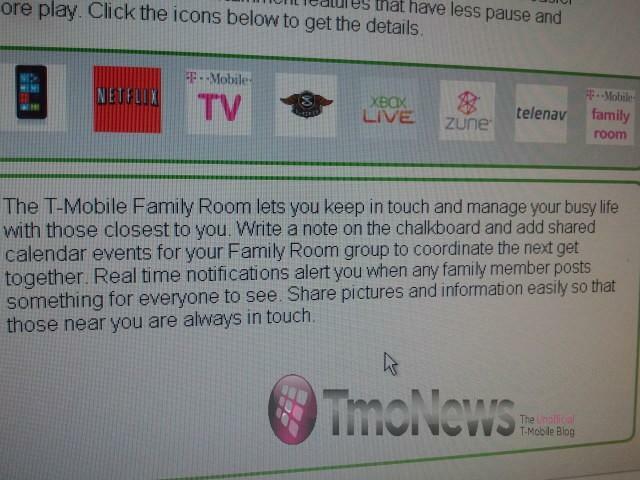 Not to be forgotten and a brand new feature included with the HTC HD7 is the T-Mobile family room which will let all members of a family keep in contact with one another. I suppose if your family requires mobile calendars to schedule get togethers this is a perfect addition to your mobile device but something tells us this is more novelty than necessary feature. Still, anything new and exclusive to T-Mobile is just fine by us! There, we acted like a fanboy! ← T-Mobile To Begin First Advertisements Touting Network Strength? …MobiTV is already available on the hd2. There will most likely be an OTA update to add it. I really doubt they would leave one of their hard-hitting phones out of new features like this. Don’t listen to that idiot below, T-Mobile will bring this to the G2. And they are not forgetting their phones. The myTouch phones are getting Froyo and so is the Vibrant so people just need to be patient. too bad there will never be a myTouch 4G unless tmobile buys sprint. Why? Sprint doesn’t have 4G either. Why, do you think sprint got and actual 4G network? Best do some reading sir! I cancelled before the 30 days (returned my buggy Vibrant) and they still charged me. When I called and talked to T-Mobile, they didn’t sound surprised (as if I wasn’t the only one). Yeah if it is just a rehash of MobiTV then big deal. I want an Android Netflix or Free Hulu app already. Netflix App coming to Android “soon”. Months ago Netflix hired Android programmers. It’s coming. Netflix is on everything else now Android is just the next logical step. Netflix sure, but there won’t be a free Hulu app. Hulu+ only if anything. where’s the dislike button? don’t like mobitv! Apparently you have no idea what your talking about. 4g means 4th generation, it is not an owned slogan by Sprint. Sprints 4g isn’t technically 4g either. T-mobile uses HSPA+ and Sprint uses WiMax, 2 different networks but it seems they are moving around the same speed, average from the tests that i have seen online. SO HA!!!!! …Just saw that Gingerbread has support for FFC. I guess the G2 will not see that update. It’ll receive gingerbread, just means it won’t magically grow a FFC. it will get Gingerbread, I’m sure. ANY BODY KNOW WHAT THERE CONTENT IS? jeez i starting to see how they really dropped the ball on the G2. is everybody sure that this is going to android? android seems to get left out of a lot of the video streaming apps….besides sling player…..the picture above lists wp 7 as a ‘maybe’ necessary specification. That’s just for TMobile “Family Room”. MyTouch 4G is running Android and it mentions it in the article. What does the Family Room offer that Google Calendars doesn’t offer? If every family member creates a Google Calendar and shares it with the other family members, don’t you have a shared calendar? 2. SPB TV FREE!! 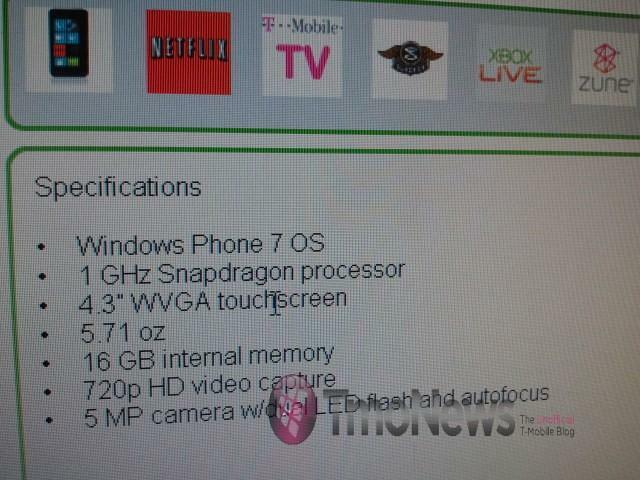 on the Nokia Nuron (and other platforms as listed on their website). 3. Skyfire + any streaming drama or live TV website. Been watching this way, too. I’m curious as to if you could accidentally watch the paid content, I think it should have a warning or be like how prepaid works you know? That you have to pay for the feature before accessing it, so you can’t accidentally incur the charge. does mobitv/tmobiletv stream video smoothly? i would hate to use it if it constantly stops to buffer. last time i tried mobitv it was low quality even with wifi enabled so lets see if tmobile tv will be any better. TO MIXTAPES: I TRIED T MOBILE TV ON MY SAMSUNG VIBRANT AND IT STREAMS VERY WELL AND VERY CLEAR VIDEO. EVERYTHING FROM LIVE TV TO VIDEO ON DEMAND WORKS VERY WELL. BUT THEY NEED TO ADD MORE CHANNELS. HOPEFULLY THEY WILL.